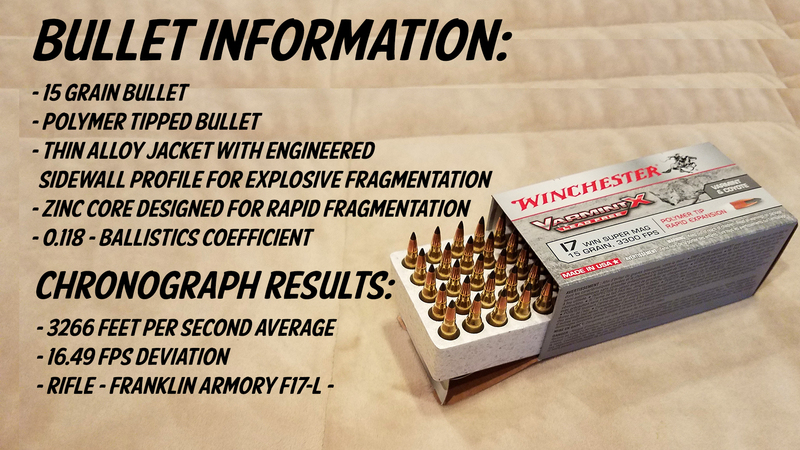 The new Winchester lead-free ammo has a 15 grain polymer tipped projectile, with a listed muzzle velocity of 3300 feet per second velocity. It is packaged in the typical 17WSM fashion, with #50 rounds per box, stacked in a styrofoam container, with plastic top. The online price ranges from $14.44 to $19.16 per box (links below). 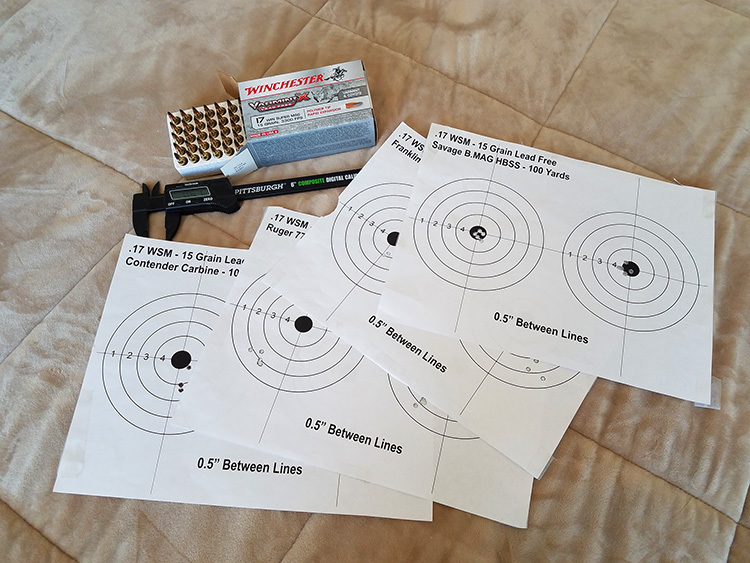 Using #9 different rifles, we shot #4 – five shot groups at 100 yards. These groups were shot from a solid bench, with front and rear sand bags, using optics that will be listed with each rifle. All groups shot were with rounds from the same lot of ammunition and same field conditions. The targets are self-made, with a 1/2″ bullseye and 1/2″ between lines. Accuracy information will be published showing the measurements of each group, with a mean average taken by traditional measurements (center-to-center minus bullet diameter (0.172)). *We shot a random sample of #30 rounds through a chronograph. Each string was #5 rounds. Published feet per second average and other information will be based on the average of all 6 shot strings. 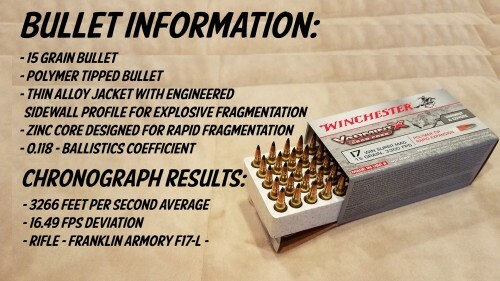 Note: We have stated repeatedly that all rimfire rifles shoot ammunition differently. 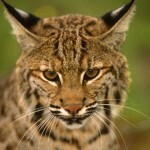 Therefore, this testing is based on the rifles and ammunition we shot and may be slightly different in your rifle(s). Some of the targets used during accuracy testing. 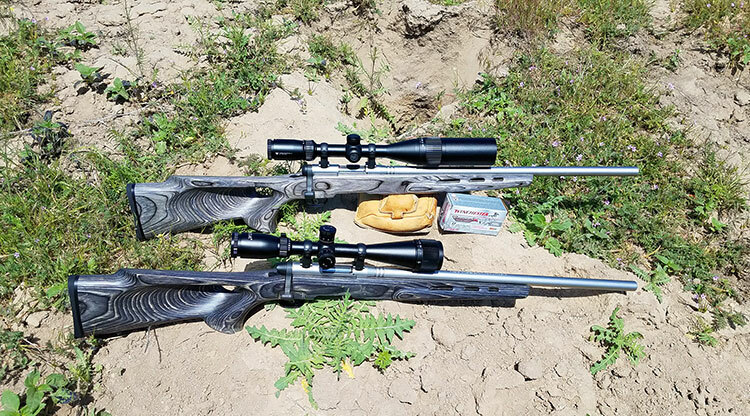 The Savage B.MAG could not do wrong on paper, so after the accuracy testing, I put the other rifles away and focused on shooting some ground squirrels at various ranges from 80 yards out to 190 yards, with most shots falling within the 150 to 170 yard range. 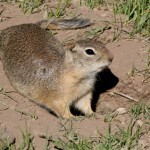 Since I was not concentrating on videoing the hunt, I ended up taking 2 to 3 dozen ground squirrels all within a couple of hours from the same location. The grass was tall in most places, but I focused on a hillside that had some bare mounds for most of the shots. 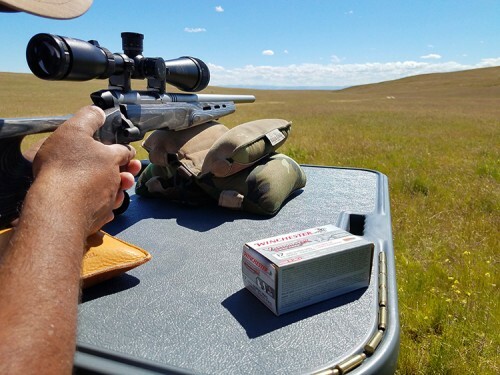 The B.MAG was like a laser beam, knocking down, blowing-up and rolling ground squirrels as fast as I could find them in the crosshairs and pull the trigger! The lead free bullets were performing well, which I could tell by the resulting action of the bullet hitting the ground squirrel, as well as the audible sound of the hits heard through my electronic ear protectors. Taking aim at a distant ground squirrel with the Savage B.MAG. 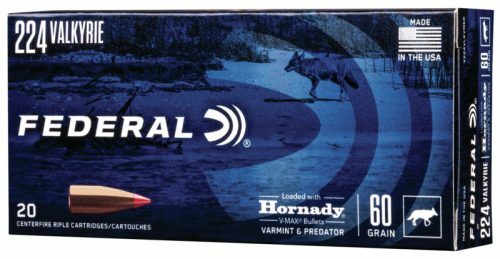 The two that I show in the video are great examples of how the 15 grain lead free bullet performed. Ground squirrel number one was just under a fence on a hill at 82 yards. 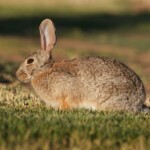 I waited for it to hop up on its mound, then squeezed the trigger. The hit was solid and the ground squirrel was dead instantly, with 3 separate parts of it flying in different directions! Ground squirrel number two was standing up in some taller grass, so I aimed slightly low, knowing I could clear the grass and make a solid hit. Again, when the bullet hit, the ground squirrel parted ways with the spot it was standing and parts of him ended up a few feet away. Ground Squirrels taken with the Winchester lead free 17WSM ammo. The bullets were performing well on the “whistle-pig” (nick-name) variety of ground squirrels we have here in Southern Idaho. 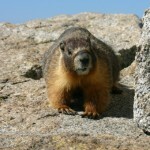 The only caveat being that these squirrels are quite small from the California ground squirrels I used to hunt down south, as well as the Belding’s ground squirrels I hunted in NE California. I believe that these bullets will still perform well on the larger ground squirrels, but that won’t be proved out until I hunt them in a few weeks. We will be using two separate Savage B.MAG rifles over the next few weeks to put together hunts for our full hunt report featuring this Winchester lead free 17WSM ammunition. Two Savage B.MAGs. Lower one purchased when they were first released. Upper purchased about a week ago from a local retailer. 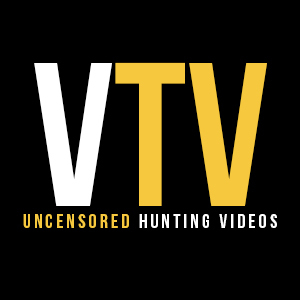 I know MANY hunters who live in California have been eager to find out how this ammunition does in the real world, so when we first received the ammunition from Winchester, all we did was sight it in and hunt with it. I’ve been shooting it since late February, when we first received it. We teased it some, but wanted to use it in various rifles for some time before putting out the results. 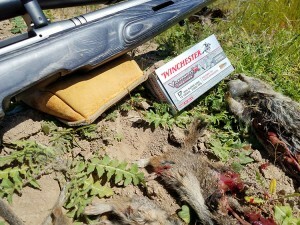 Over-all, I have killed about 100 ground squirrels using the lead free ammo and it has done well out in the field.